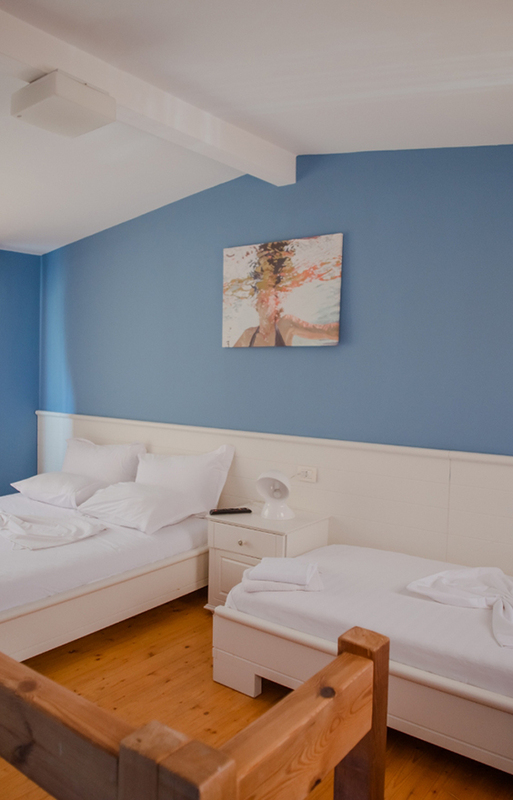 Fully renovated rooms decorated in soft, discreet, modern style. You will enjoy a spectacular front or side sea view from your private veranda or balcony. Room facilities: Balcony, Sea view, Satellite Channels, Flat-screen TV, Air Conditioning,Heating, Bath, Hairdryer, Bathrobe, Free toiletries, Toilet, Bathroom, Slippers, Bath or Shower, Refrigerator,Outdoor furniture.Free WiFi is available in all rooms. Drymades Inn resort has a capacity of 30 rooms .LCD cable TV, fridge and a private balcony or terrace are standard facilities for all rooms. Free Wi-Fi is possible in public areas of the resort, while free public parking is available nearby. © 2018 Drymades Inn Resort.